Click the add to cart button below now to access this program immediately! Don’t forget, I give you a 60-Day Full Money Back Guarantee. You absolutely have NOTHING TO LOSE! Just give it a try and watch how drastically your Long Distance Relationship will improve in the first week! The Long Distance Relationship Miracle guide: This is what we call our final iteration of the distance relationship guide that Marianne and I, along with our support group peers, worked so painstakingly on for nearly 3 years. This guide contains the very best strategies to maximize any distance relationship. All aspects of long-distance relationships are covered in 7 chapters and multiple “major discussion” sections are also found towards the back of the book. Do you struggle to come up with a perfect long distance relationship gift idea to send to your sweetheart? Well you’ve come to the right place! In this special edition book, I have put together 101 meaningful gift ideas that is going to melt your loved one’s heart when you give it to them. I also explain clearly what each gift means so you can easily make decision on which one to give. Some of these are paired gifts, which means you get to keep one and your sweetheart gets to keep one. Cool huh? 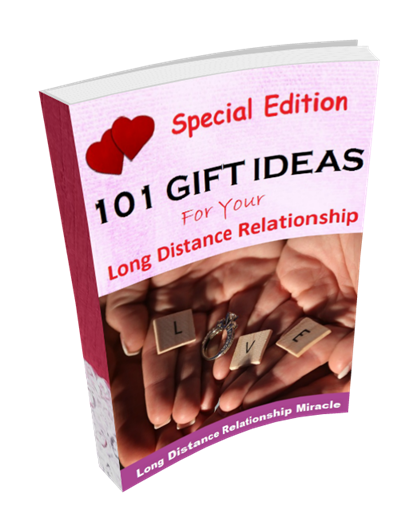 This 101 Gift Ideas For Your Long Distance Relationship is a special edition and limited time bonus only. I’m going to sell it as a product on its own. So if you still see it on this page, grab it before it’s gone. This guide teaches everything you need to know about how to resolve the “six demons of communication” that silently kill relationships. Have you heard that communication issues can easily snowball in a distance relationship? It’s absolutely true. Communication breakdowns happen every single hour of every day to couples sharing the same room, let alone those who are separated from one another. The lessons you learn in this guide will teach you how to prevent a negative snowball of bad communication habits, through the use of powerful rituals. Strong couples are happy couples, and happy couples first need to be happy individuals before they can share the gift of joy with each other. In this short, action-packed guide, you’re going to learn a few scientifically proven daily exercises to increase your sense of overall happiness as you go about your regular day. There’s no “ho-hum, feel good advice” here, my friend. No, these are all scientifically validated tactics and techniques to boost your biological sense of well-being and fulfillment using physical and mental actions. It is a sad fact of our Western society that divorce is now mainstream. Sometimes even accepted as inevitable. About 40 to 50 percent of married couples in the US divorce and the divorce rate for subsequent marriages is even higher. But that doesn’t mean there aren’t conscious steps you can take to create a marriage that endures for 30, 40, even 50 years, and be with your partner until the day you pass on. It is still possible, if you go against the grain and take measures to protect your marriage. Free Bonus #5: Surprise Gift! Do you love awesome surprise? I don’t want to spoil your surprise but here’s a sneak peek: if you want to have amazing and sweet conversations with your partner and avoid awkward silences, this surprise bonus is something you MUST have. 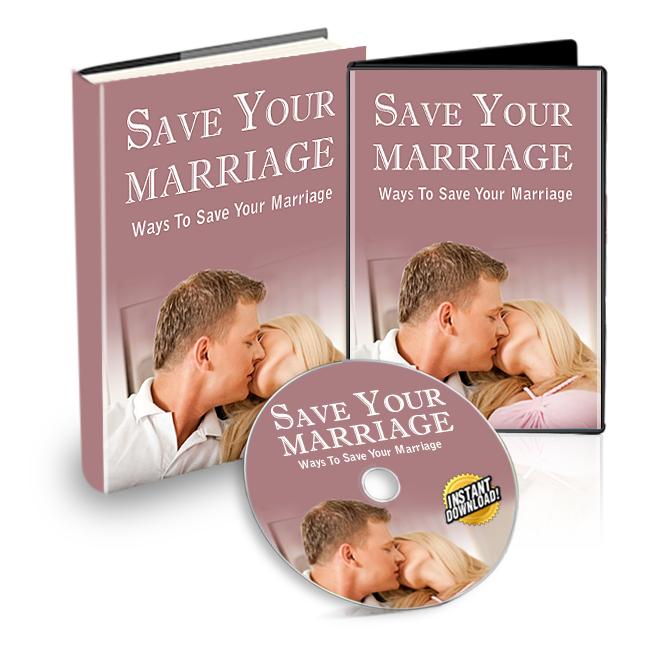 I have included this in the Long Distance Relationship Miracle program for you as a very special gift to take your relationship to the next level. You’ll love it! “My long distance relationship seemed almost over and as a last attempt to save it, I purchased this book. After reading this book, I finally understood why my partner was hot and cold with me. It always left me confused, not knowing if what I was doing was enough or even if it was right. It drove me crazy. I spent nights lying awake, tossing and turning in my bed, checking my smartphone for his messages. Needless to say I couldn’t focus on my work and soon I was getting warning letters from my work. I was feeling lost. The thought to end the relationship crossed my mind but the more I thought about ending it, the more I crave them more. I decided to surprise him with a visit but I was so afraid that I would find another woman in his house that I decided to call off the plan. Some days I never messaged him and didn’t receive a text in return, which drove me to the edge. Whenever I talked to him, I felt as if he was alright with the relationship but then there would be other talks where he seemed uninterested and cold. I tried to make him jealous by spending more time with the men at my workplace but it had no effect on him. Then I read this book and I understood what I was doing wrong. I was making him my life and men need space. They need a challenge. I soon became the challenge he craved and I found more text messages and calls from him, some of which I took my good time replying and some I answered immediately. Daisy Andrew, California, United States. “Honestly, me and my boyfriend just ended our LDR about three weeks ago… due to a fight! The crazy thing is that nearly every fight we’ve ever had has been via text. I know it sounds stupid! I personally think that my LDR wouldn’t have these problems if we had been together in person. The hardest thing about LDR is that most of your communication is done via words. The lack of using body language, tonality and facial expression causes too much issue. The little things got blown out of proportion, became bigger issues and causing misinterpreting and big arguments. There’s also a fact that if you fight with somebody via text messages, odds are, they’re going to re-read it over and over again, causing much more damage than if everything had been said verbally. Like many relationships, our problems began from a lack of communication. I felt pushed aside and neglected whereas he felt that I was pushing him to communicate. I was unhappy with him because he didn’t want to talk to me. If I knew the reasons that cause miscommunication and learnt the effective communication strategies you showed in your “Communication Breakdown” bonus book, I would never have felt neglected and of course, never have had an argument in the first place because I wouldn’t be making these silly communication mistakes. Click The Add To Cart Button Below Now To Access This Program Immediately For Only $1 Today!